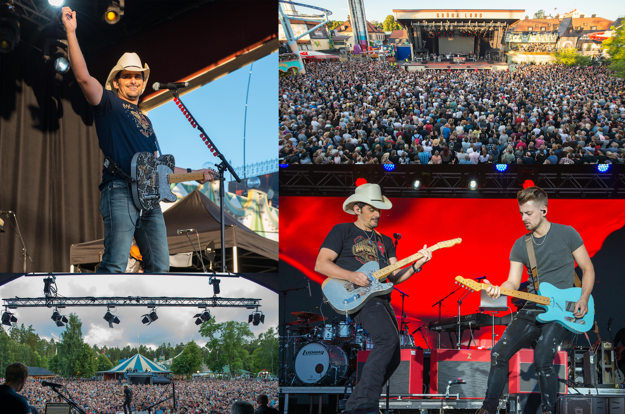 Country superstar Brad Paisley has taken his “Weekend Warrior World Tour” to Sweden and Norway this week. Earlier this week he played to capacity crowds in Gavle and Stockholm, Sweden and will finish the week on Friday at the Country Festival in Seljord, Norway. Special guest on the tour for Sweden was country hit-maker Chase Bryant.